We became a friend of Digital Union as we wanted to show our support for a strong network of digital and tech businesses and to help shine a spotlight on the amazing companies based in Gateshead as well as the North East. The North East has a lot to offer and we have a great digital scene. In Gateshead, we have a strong and supportive tech community. Networks such as Digital Union are great as they bring more companies together, ideas can flow, conversations can lead to collaborations and the sector strengthens. As an innovation district, Baltic Quarter is something we are particularly proud of – it connects a cluster of high growth digital technology, design and media companies and start-ups with academic bodies and research institutes; facilitating collaboration and exploration of open innovation to develop cutting edge products and services for the market. As tech evolves, so will the ecosystem here and we hope to see the sectors continue to grow, with more start-ups, scale ups, new job creations etc. It will also be exciting to see the difference new infrastructure makes to the scene. For instance, we have PROTO: The Emerging Technology Centre opening in July. The £7.8m complex, funded by Gateshead Council, the European Regional Development Fund and the North East Local Enterprise Partnership (LEP), is located next to Northern Design Centre on Baltic Quarter. 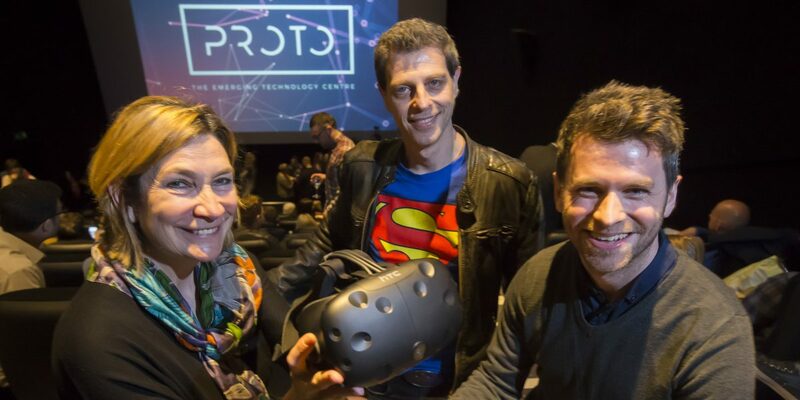 PROTO will offer high quality office accommodation for digital tech companies as well as a state-of-the-art R&D facility which will allow businesses within the tech sector to get to grips with the latest kit to develop new content, products and services. It will also play a role in supporting non-digital businesses to innovate through new technology. This is a really exciting chapter for us, so we’re keen to spread the word! The North East is a place of ambition, aspiration and growth. We believe it provides the perfect setting from which to establish and grow a business. There is lots of support on offer, great office space, five universities and a loyal workforce of 1.2 million within a 60-minute drive, as well as access to all local, national and international markets; providing links to air, road, rail and sea. We’re looking forward to working with Digital Union on the delivery of the Manifesto and further supporting businesses in the area, as well as the region overall.